This post covers the steps to uninstall SCOM agent from windows computers using multiple methods. The procedures described in this post applies only for Windows-based computers. The first method involves using operations console to uninstall agent. 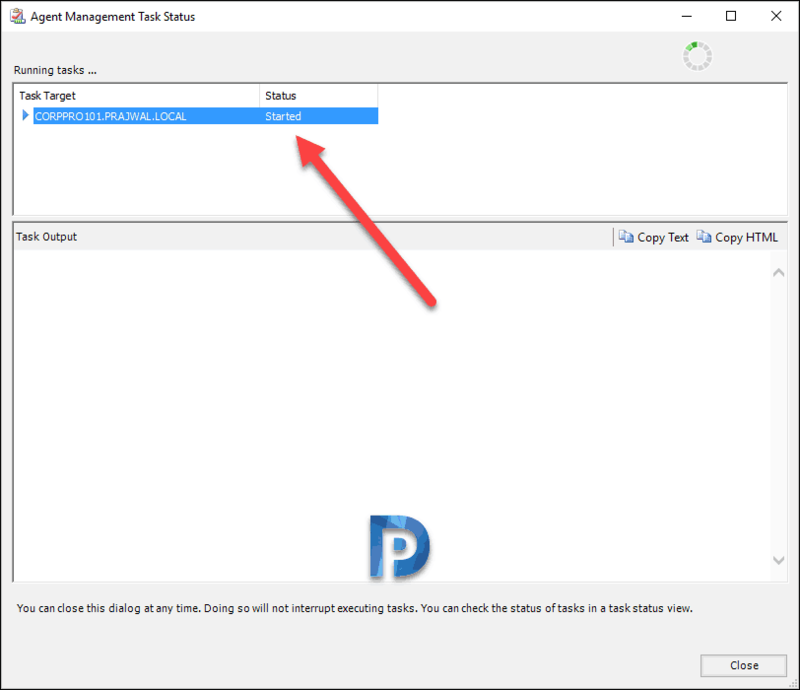 The second method allows you to uninstall Microsoft monitoring agent from programs and features. 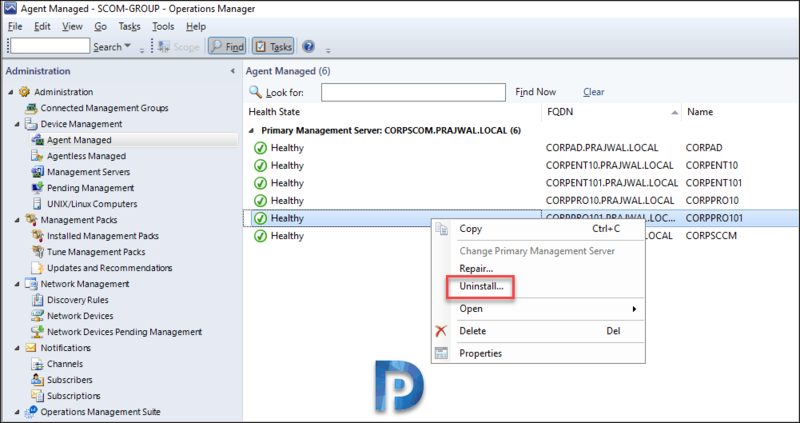 In SCOM you can use operations console to search your environment for manageable objects. You can then deploy an agent to any computer you want to monitor. In one of my post, I covered the steps to install SCOM agent on windows based computers. I will be covering two methods to uninstall SCOM agent from windows computers. 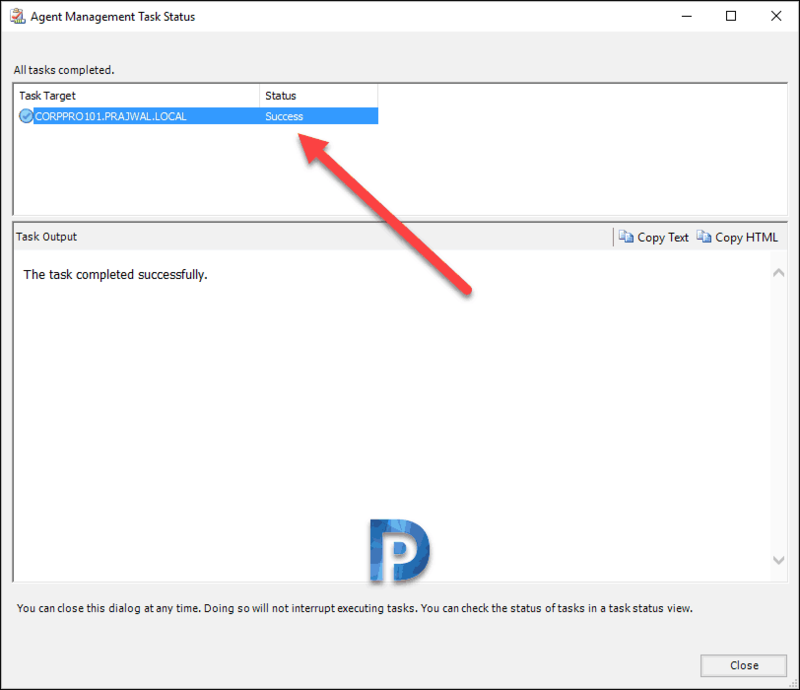 You can go with any of these methods to perform SCOM agent uninstallation. Both these methods uninstall the agents cleanly unless there are any other system issues. Method 1 – Uninstall agent using Operations console. 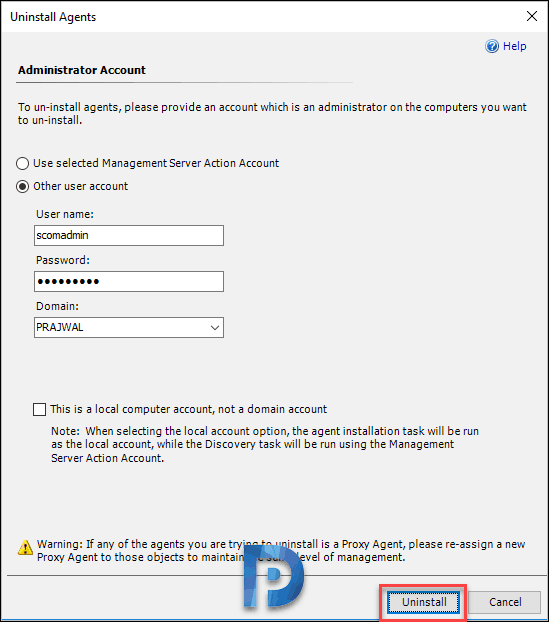 Method 2 – Uninstall agent using MOMAgent.msi agent setup wizard. This method is probably the most easiest way to uninstall SCOM agent. Using operations console, admins can uninstall the agents from single computer or multiple computers as well. Select multiple objects by holding ctrl key to uninstall agents. Open operations manager console, click Administration. Expand Device Management and click Agent Managed. From the list of devices, right click device(s) from which you need uninstall the agent. Click Uninstall. To uninstall agents, you can either use selected management server action account or specify an account. Specify the user name, password and click Uninstall. You will now see Agent Management Task Status window. The status is started which means the agent uninstallation has begun. The status is now changed to Success. Always keep an eye on task output for success/error messages. First of all log on to a managed computer with an account that is a member of the administrators security group for the computer. Go to Programs and Features, right click Microsoft Monitoring Agent. Click Uninstall and on the confirmation box click Yes.